Starcraft, Me and the SEA. : I wanna be the guy! The movie, the Game. 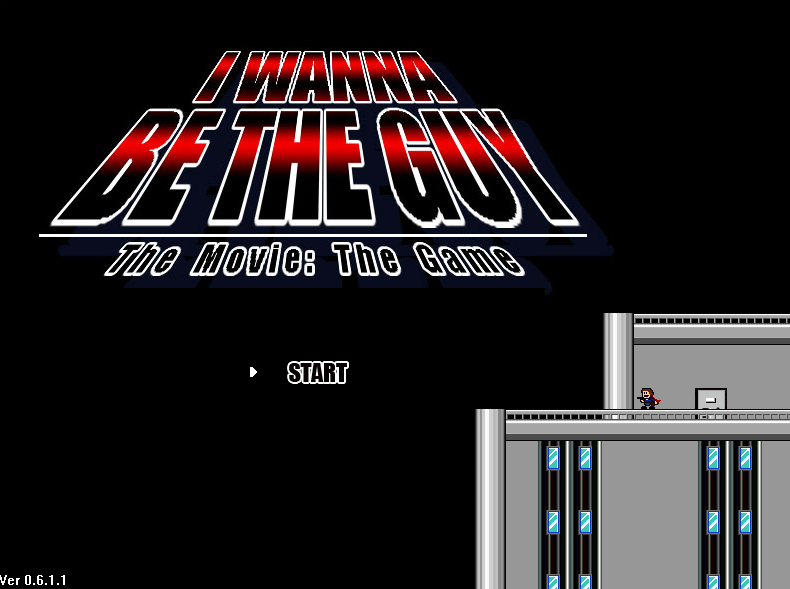 I wanna be the guy is probably the hardest, most frustrating game that has ever been made. The designer actually said to himself when making it "How hard can I make this and will people keep playing it?" IWBTG quickly received a cult following in people that were searching for a game that made them want to smash a lead pipe into their teeth after a few minutes of playing it. I have been playing IWBTG over the course of a few years, playing for a bit then getting mad and stopping for a month or so. I am finally at the last boss (after 3622 deaths) I tried for a couple of hours to beat him today but gave up when my hand started hurting from pressing fire too much. IWBTG is free, and is only around 60mb so I would definitely recommend downloading it just to see what all the fuss is about, apart from the mind numbing frustration it is actually quite fun and very funny to play, with references to other games that gives it a sense of nostalgia. Check out I Wanna Be The Guy here! I am actually incredibly tempted. NOPE. I've watched people play that game, it's too hard. Finally won it last night omg the journey is at an end. I've played it and if there ever was a movie about it, it would probably be a montage of broken monitor screens and suicides. Sounds like it would be fun to watch people play! 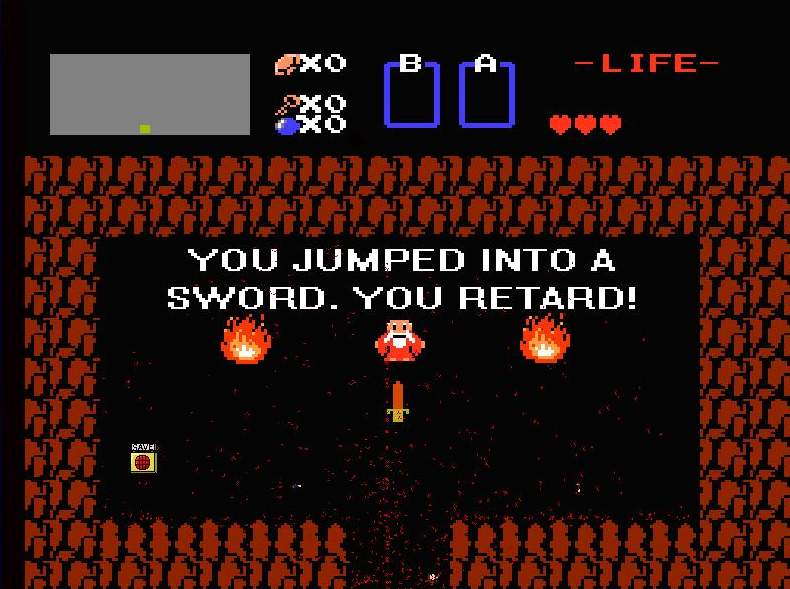 I hate playing frustrating games though so I'll pass but I do love that line! 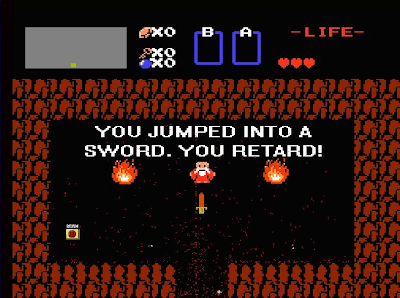 You jumped into a sword you retard! Never played or heard of this. Gonna check this one out. Thanks.